This product is brass-cased, boxer-primed, non-corrosive, reloadable, and packaged in 100 round, sealed plasti-packs. 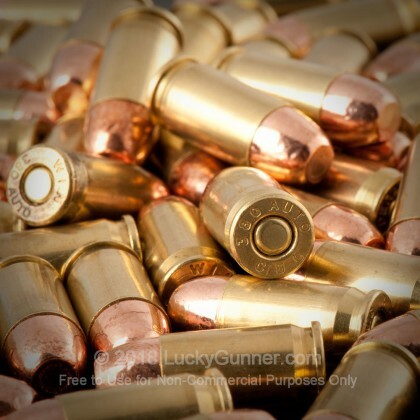 It is both economical and precision manufactured by an established American cartridge producer. I received my first package of 100 rounds 380 ammo. Shot up about half in a Kel-Tec 380 and a Walther PK380 (new). Never missed a lick. I will buy this again for my 9, 40, and 45. This is good stuff. Ran 75 rounds thru mt Bersa thunder 380. Mot a glitch in the bunch. Will most certainly purchase more. Bought it for my new Sig P380 - no problems at all! 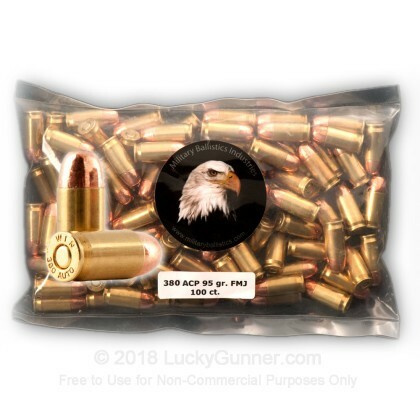 This is a great value on a still hard to find ammo. I put it through my Bersa 380 Carry Conceal as well as a friends Sig 238 and Ruger LCP. Not a misfire all day and I'll be ordering more bags of this soon. Put 300 rounds through my Walther PPK/S without a single jam. Was having trouble with other ammo. Groupings stayed tight. I also liked the pricing and availability since inventory in my local gun shop is restricted and the price is high.